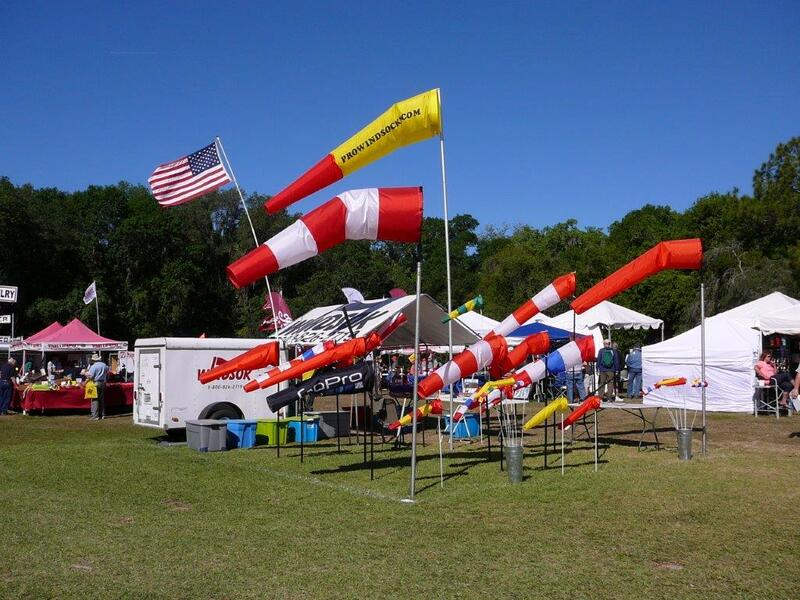 The original windsock product has been in production since 1988. It originated from our personal needs while participating in sport aviation. As a result of its continued use and a growing awareness of this company, we now produce several models of the Windsock product as well as replacements for airport style windsocks. Computer driven fabric and sign cutters have have allowed us to become very flexible in our production of customer windsocks. Offering conventional steel or lightweight HDPE windsock frames and 200 D UV protected cloth used for windsock production. Our windsocks are available to custom print, for airport and industrial windsock replacements, as portable windsock sets, and for new windsock installations. Several sizes and color patterns to choose from or color design your own! Contact Us Today For All Of your Windsock Needs!